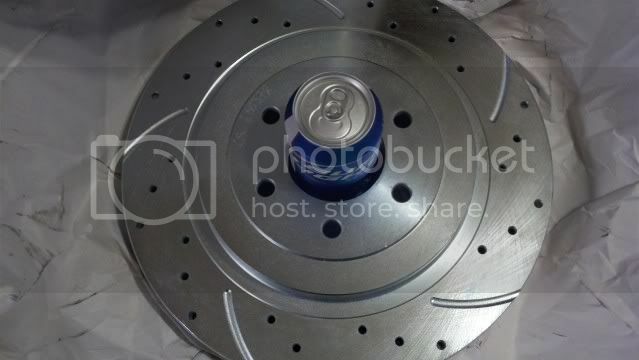 Register Log In Moparts Forums Moparts Question and Answer Post your custom front disc brake setups. I had the hardest time finding a set of rear viper calipers for this thing. Most places (and I dont know why) have the driver side, but not the passenger side? I could have bought used, but I really dont like buying any used stuff. And choices were kind of limited there too from what i could see. One place said they had them in stock, so I placed an order and then got an email they dont have them. lol I was so mad. So I waited 5 days for a refund and found someone who had them new in box and they are on the way. rotors will be here this afternoon and I have the bolts and backplates sitting here... I've had the rear axle redone and sitting in wait. More to come...yes this is still happening. More to come...yes this is still happening. If you wait too much longer, there will be some other new whiz-bang sorta thing come out.. Waiting to see pics and hear how it goes.. 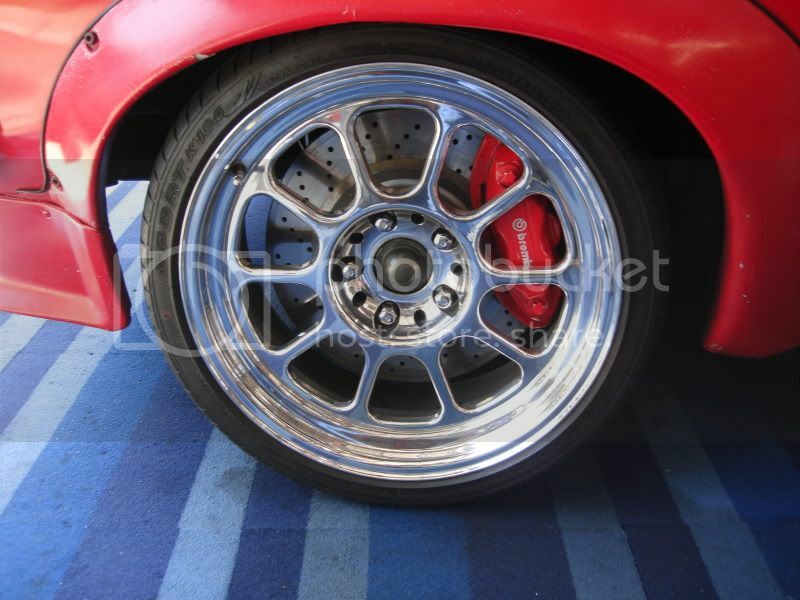 The pair of rears only cost me like 140 bucks and the fronts a little more than that. They are zinc plated 13 inch gen2 vipers. Rear viper calipers will be here tomorrow and then we can play. It's getting cold here man...whew! Nope, not MIA. Just waiting till I have something substantial to share. With the holidays, home renovations, and moving my mom into the neighborhood, I haventhad time to do anything. The brakes I have chosen are brand new corvette z06 6 piston calipers. There will be more to come. The spindles on the dakota require substantial changes in order to fit the custom caliper brackets. I just wanted to wait until I had more to post. It's all coming soon. And yes, I am using the 13 inch viper rotors to make life a lot easier, as I cannot get a 14 inch vette rotor in there anyway. 4 piston brembos are off, and going on are the 8 piston ones. Those look great. How much of a difference do they make from what you had? I'm finally in the clear and with the weather nice again I'm about to resume work on my pile. I've been cleaning up my shop to get better organized. This winter definitely took a long time to die. I bought a lot of equipment to help me do more of my own work instead of depending on other people. We'll be moving forward here pretty shortly. I hate waiting. Yeah, Oz. How well does one front caliper stop the car? Sorry about not catching the damage on the other caliper. Hopefully the replacement lands this week. With luck you might be cruising Friday night with big stoppers. How much of a difference do they make from what you had? One of the ones had some damage to it in the box, hopefully it'll be here soon and I can get it cleaned and painted and the system bled and then will see how it goes. I did get the pads today at least, and one side is ready to go now at least. And I know what you say about having the stuff to do the work yourself, makes projects go much better IMO the more you can do for yourself. Sweet! I have a nice set of red Gen II Viper calipers. Just haven't found time or $ to grab the adapter kit and a set of wheels for it. 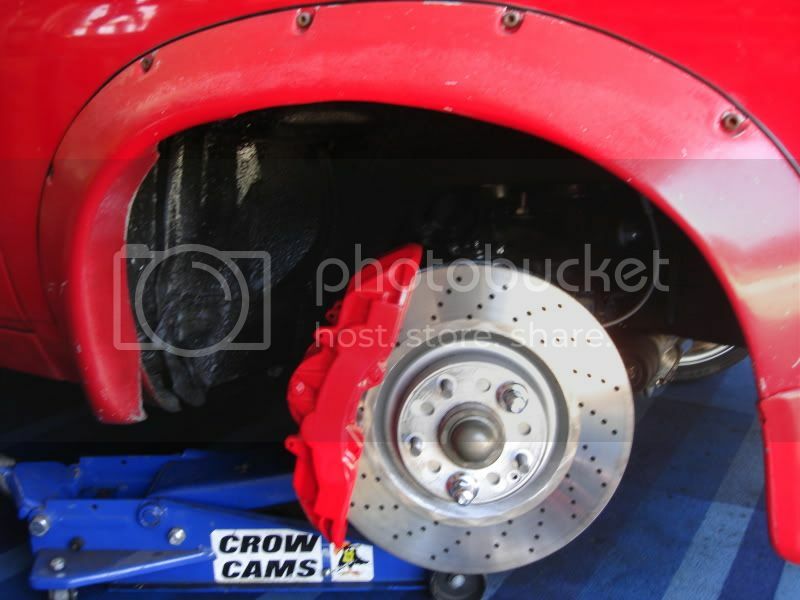 With that large of brakes on your small car, you should be able to brake fine with just 1 front brake. I could just try driving the car the way it is...one 8 piston caliper on the right, and one 4 piston one on the left, and see which side stops better. Hopefully the other one gets here before tooooooo long though so I can get it cleaned, painted and bolted on. If it gets here by Friday, I might be able to stop by and check them out! (we CNC'd billet brackets as they are non-kit calipers. 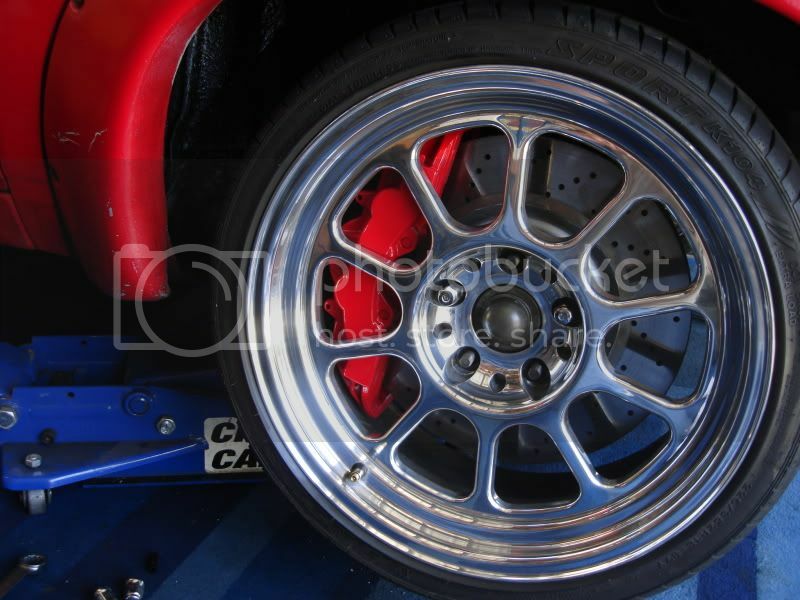 they're actually Wilwood's largest available calliper). Darren, out of curiosity...what does the engineer have to say about those home made spindles?